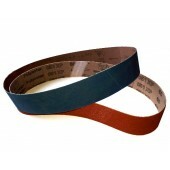 Our range of Sanding Belts are sourced for both quality and price. 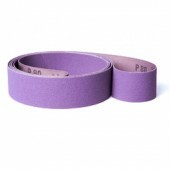 Select our top branded Linishing Belts from VSM Abrasives, and Starcke Abrasives, for use on a vertical belt linisher, power file belt sanders, metal belt grinder, disc & belt sanders, floor sander, drum sander, or on a polishing lathe. Stocked in all popular grits. In addition, we also offer Custom Made Abrasive Belts in Aluminium Oxide, Silicon Carbide and Zirconium, and Specialist Belts in Surface Conditioning Material, Ceramic Grain, Compact Grain, Trizact Material manufactured to your specification. 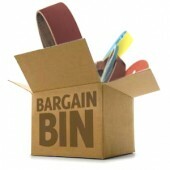 Need a material, grit or size that isn't listed? 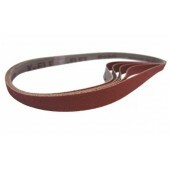 Contact us to have your Custom Sanding Belts made in no time at all. 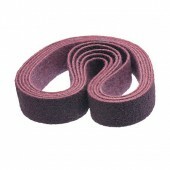 Heavy Quality Cloth Sanding Belt for use on a Flat Bed Sander. 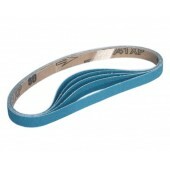 Smooth on the joint and cotton backed, giving a good balance of strength and flexibility. 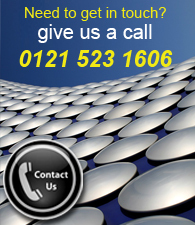 For mild steel and cast iron. Also good on aluminium and copper and wood. 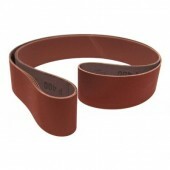 Floor belts of high quality and long life for all types of wood flooring. Designed to fit on Standard Belt Sanding Drum Sander Machines such as Hummel, Bona etc. With wave joints for extra strength. Heavy X-weight polyester backed linishing cloth coated with Aluminum Oxide. 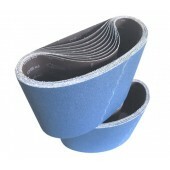 Good for use with a wet belt grinder for Wet Sanding. High stock removal and long lifetime. Commonly used with tools, castings, welding seams, punched and forged parts. 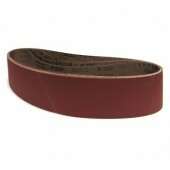 Our range of branded Abrasive Sanding Belts are sourced for both price and quality. 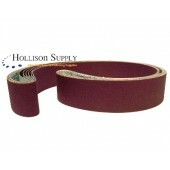 Sanding Belts for use on a vertical belt linisher, power file belt sanders, metal belt grinder, disc & belt sanders, floor sander, drum sander, or on a polishing lathe. 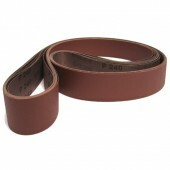 Powerfile Belts suitable for use on various sanding machines such as Dynafile and Beltit power file belt sanders. Will fit 533mm Powerfile Belt Sanders including Makita. Heavy X-weight Zirconia gives long life when grinding or finishing; from removal of welding seams and deburring to paint removal. 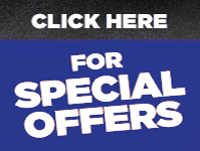 Use on metals, wood, paints, lacquers and numerous other materials. Will fit 457mm Powerfile Belt Sanders including Black & Decker. Heavy X-weight Zirconia gives long life when grinding or finishing; from removal of welding seams and deburring to paint removal. Can be used on metals, wood, paints, lacquers and numerous other materials. Volume discounts available, please call. Suitable to fit the Robert Sorby ProEdge Systems. Ideal for sharpening woodworking chisels, carving tools and plane irons. Volume discounts available, please call.